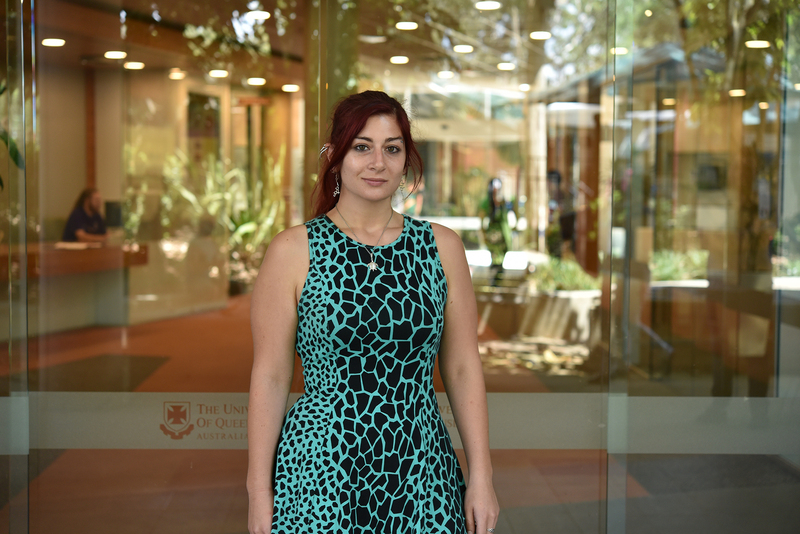 Nadya Panagides obtained her undergraduate degree in Biomedical Sciences with a sub-major in Genetics from the University of Queensland. She successfully completed two summer semester research projects and her honours degree in the Venom Evolution Laboratory, working with Dr Bryan Fry. Her venoms based research involved proteomically characterising a variety of African viper and cobra venoms, and for her honours thesis in particular, assessing their toxicological activity and potential as anti-cancer agents. She continued her work with venom toxins by volunteering at the QIMR Berghofer Medical Research Institute, by working in Dr John Miles’ Human Immunity Laboratory under the supervision of Dr Maria Ikonomopoulou. She began to develop a keen interest in immunology and started working as a Research Assistant in Dr Barbara Rolfe’s laboratory at the AIBN, where her research focus shifted to cancer immunology, and more specifically the role of complement components C3a and C5a in tumour progression. Recently, Nadya was awarded the ARC Training Centre in Biopharmaceutical Innovation PhD scholarship. Her project will involve developing platform methodologies for antibody discovery against membrane proteins. BSc in Biomedical Sciences (Genetics), University of Queensland. The ARC Training Centre for Biopharmaceutical Innovation is multi-million dollar Australian Government initiative under the Australian Research Council Industrial Transformation Research Programme.